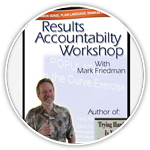 Results Leadership Group and Accelerate Performance are excited to announce the Results-Based Accountability™ (RBA) Africa Summit 2014 to be held in Johannesburg, South Africa. In bringing together experts in training and implementation, this conference will introduce cutting edge RBA concepts that are helping children, families and communities create measurable improvements across the globe. 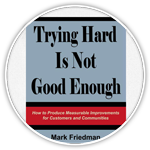 This summit will feature introductory training from Mark Friedman, the creator of RBA and author of the book Trying Hard is Not Good Enough. 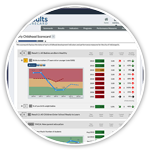 There will also be lively panels, break-out sessions led by leaders on the front lines, and facilitated learning sessions on how to use RBA for creating impact on what you care about most. For government and NGO leaders that are learning about RBA for the first time, and those that have been using the framework for years, this event is not to be missed. For more information, please visit the RBA Africa Summit website.